I’ve been hemming and hawing and stopping and starting and generally just freaking out about how to tell you this, but I suppose the best way is just to tell you. So. Yes. I’m writing a book. A book! Like, with words and pages and everything. …You guys. It’ll be a cookbook and, if all goes according to plan, it will be hitting the shelves courtesy of Workman Publishing in the Fall of 2014. …YOU GUYS. More details to come, but for now I’m just feeling so, so lucky for this project – and everything else, too, for that matter. For summertime (even in cold, foggy San Francisco), hikes by the Pacific, trips to the beach, a newly discovered clean and cozy workspace, family time, sweet berries and real cream. And popsicles. And cookbooks! Gah! I’ve got some work to do. But don’t we all? Come. Let’s have a popsicle. 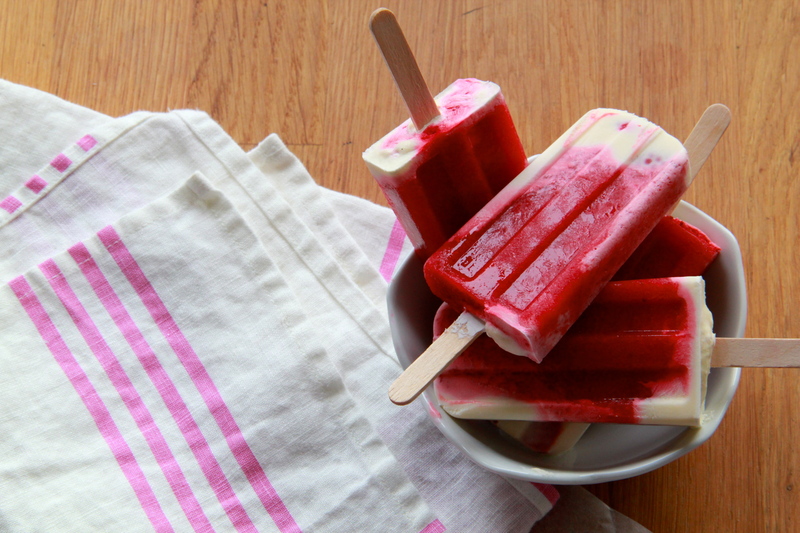 These frosty bits of summer on a stick have no added sugar, so be sure to use the best, sweetest berries you can find. If you find your selection lacking, feel free to add a bit of honey or agave syrup to the mix. I was inspired to make these after seeing these beauties from Tara of Seven Spoons. Mine are like hers in looks alone (well, sort of — hers may be prettier), but I dare say they’re still pretty freaking great. In a blender or food processor, puree the berries with the lemon juice and 1/2 teaspoon vanilla until smooth. Strain at least half of the berry juice through a medium sized strainer to remove some seeds (you could strain out all of the seeds, if you prefer). In a measuring cup, stir together the heavy cream and remaining teaspoon vanilla extract. 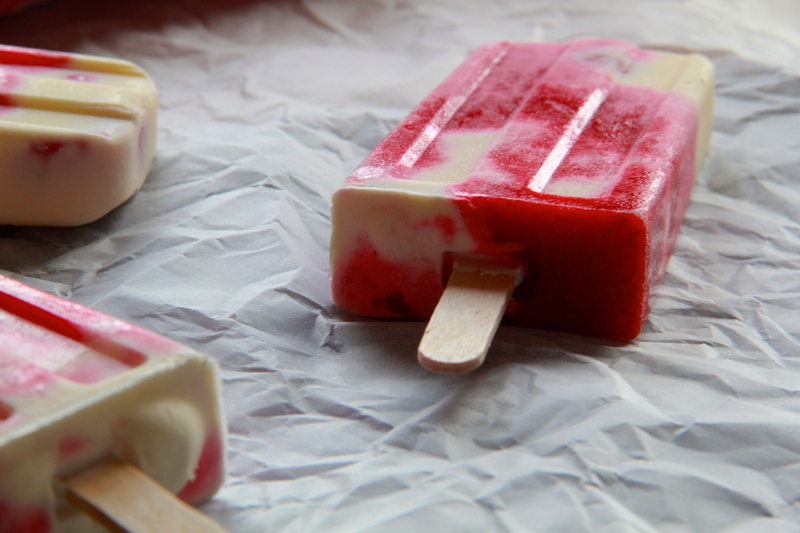 Pour the berry juice and cream into popsicle molds (I have one of these molds, which makes 10 pops) – you can try and layer the berry and cream mixtures in the molds (they’ll run together a little bit no matter what), or you can just mix them together, willy nilly like. If your popsicle mold has a fancy top that keeps the popsicle sticks in place (like mine), add the sticks and then freeze the popsicles. If your mold doesn’t have this feature (or if you’re using little plastic cups instead of a popsicle mold — I’ve been there), freeze the popsicles for about an hour, then add popsicle sticks and continue to chill the pops until completely frozen. To get the popsicles out of the mold, simply run the molds (or cups) under warm water until the pops loosen and can be pulled out. Yea for books! But for now, I think I’ll have a Popsicle. AMAAAAAAAAAAZING. where do i pre-order? oh you can bet your bottom (silver) dollar (pancakes) I’ll get you that info as soon as I have it! CAN’T WAIT (yes, I am shouting!) for the release of your book! Until then, I’m making everything on your blog. 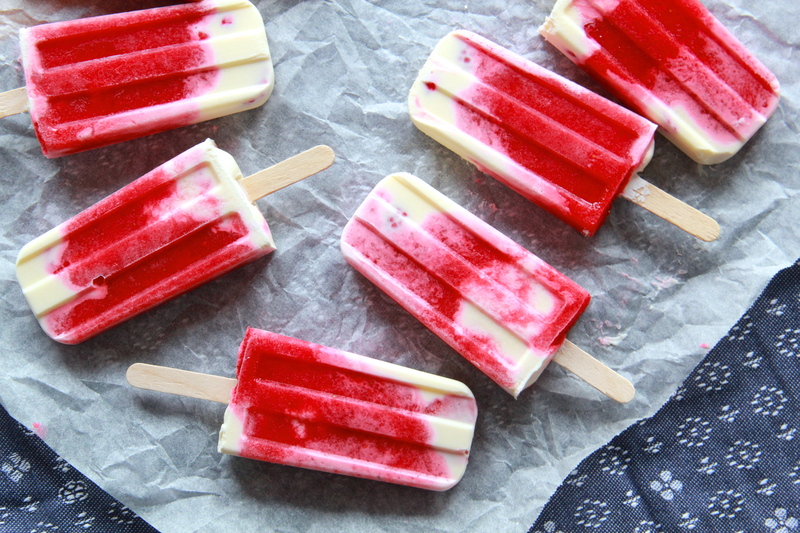 Yum, popsicles! Congrats!! I love your site cannot wait for your book. 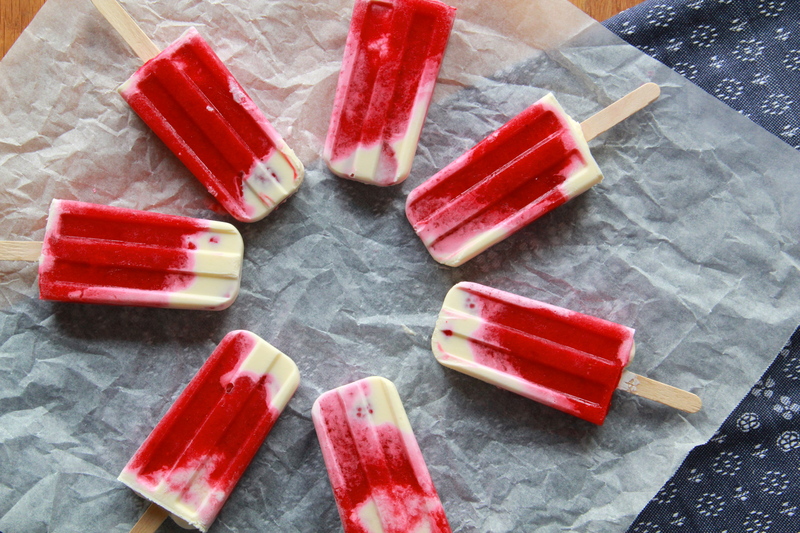 Also, these popsicles look like summer on a stick. Delish. So exciting – Congratulations!!! I’m ready to pre-order, just send the link. Congrats!!!! SO exciting! Can’t say I’m surprised 🙂 🙂 – will be ordering a copy as soon is it hits the shelves! Congratulations! I’ve been reading your blog for some time now, and I must say, I’m excited to see the book : ).